Take to the field and see how many goals you can score with this state-of-the-art game. Kick a real soccer ball onto a virtual field. 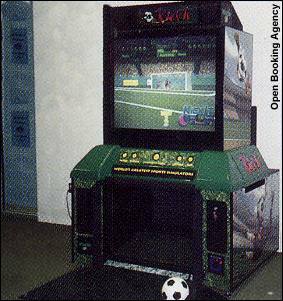 Based on the speed and the angle, the player sees the ball going toward the goal via a built-in 52" video screen. Can you beat the goalie and your friends? Trade shows, sales meetings and promotions really score with this!